What is the true purpose of an educator? An educator does not impart information to the learners. An educator does not tell learners what to think. An educator helps prepare the learner's instrument of learning, that is, the mind. Education of the mind, or Mental Education is an important part of the whole enterprise of education, which ideally must include education of all the other parts of the being as well. The Mother has given some very clear guidance on what a complete mental education might look like. It is the last three phases as shown in the above graphic that make the mental education a more integral and truly Indian in spirit. Indian cultural thought emphasizes the preparation of mind as an instrument of the truer, inner being, the soul. 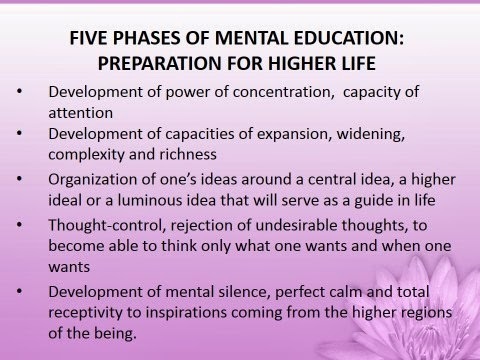 Mental education must help the mind gradually become a clearer and more luminous medium fit to receive the higher inspirations, ideals and illuminations. And this requires that mind must be able to organize different thoughts and ideas around a higher ideal. Mind should be gradually trained to exercise control on which thoughts may enter and how they may be organized and synthesized. Furthermore, mind must also be slowly taught how not to think! Only when the restlessness of the mind ceases, it becomes open to inspirations from higher regions. encourage imagination, because imagination helps develop the creative mental faculty, makes the act of studying a joyful activity. Learners should be encouraged to study a variety of topics, because it increases the suppleness and comprehensiveness of mind. At the same time, any single subject matter or topic may be approached in a variety of ways. This helps remove the rigidity of the brain, makes thinking richer and more supple, and prepares the mind for a more complex and comprehensive synthesis. 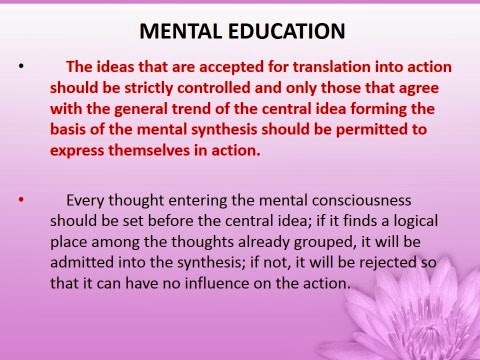 In her writings on Mental Education the Mother explains that human mind has a need for a sure thing, a certitude to hold on to, a mental construction under which all diverse and scattered, and often contradictory thoughts may be organized in some sort of an order. This is a necessity for the mind in order to prevent a mental chaos. But in the process of discovering or creating such a certitude or mental construction, by default it will leave out many other possible mental constructions. That is how rigidity and exclusivity begins to take hold of the mind. In order to keep the mind receptive and supple and flexible, it is important to help create learning opportunities so that mind is constantly making progress, is asked to revise its notions in the light of new knowledge, enlarge its existing construction or framework to include fresh perspectives and constantly reclassify and organize its thoughts. This should be the work of a good mental education. Such training of the mind, as shown in the above picture, is required not only for the overall preparation of mind for mind's sake. It is essential because of its deep significance for actual real-world living, the art of living consciously, if you will. This kind of training helps learners develop critical skills in decision-making about their life choices and ways of living. At present our education system, for the most part, does not in any way help learners become more conscious of their life choices. The reason perhaps is because it hasn't fully grasped the inner significance of a complete training of the mind for a more conscious living, which includes this important task of mental purification. [There are some progressive schools in many parts of the country, which are often privately funded and driven by a certain ideal or philosophy and are trying to do some of these things, but my concern is with the mainstream educational thought and practice in general]. How can such mental purification be encouraged through education? Schools must encourage learners and educators to set apart some time every day during which they go over their thoughts and work on their mental synthesis. Time should also be set apart for giving good rest to the mind. Silent concentration, nature walks, meditative music, quiet rest - all such things may be included as part of the full learning day at the school. 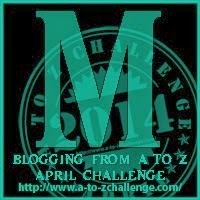 As always, the question comes - do we have an intention to do this? Or are we satisfied with the status quo?